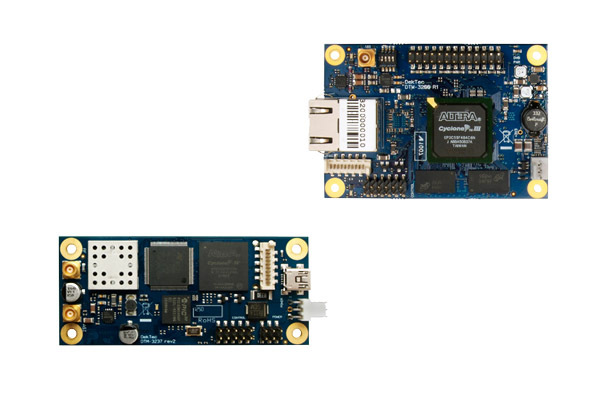 DekTec's standalone OEM modules are ideal building blocks for integration in your product. You do not need to dive into the complex world of IP, DekTec has done this for you. Several serial protocols are supported for control of the OEM modules from your application. A free C/C++ API is available to handle the low-level command protocol. Compact module for interfacing transport streams to a network. The DTM-3200 converts either IP to ASI or ASI to IP (user programmable). Same as DTM-3200, but with right-angle headers, to reduce the total height of the unit. High-density standalone module for interfacing four ASI transport streams to a network. Compact module for receiving a full DVB-S2 or DVB-S transport stream and outputting it as ASI.